Not just for industrial Safety! 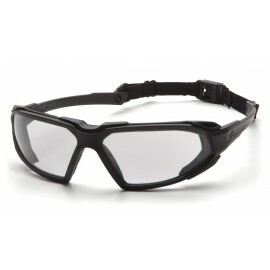 The Pyramex Highlander Safety Glasses combine superior high impact eye protection with extreme styling and comfort. Outdoor enthusiasts everywhere agree, theses safety glasses are perfect for outdoor sports, including rock climbing, hiking, river rafting, mounting biking and more. 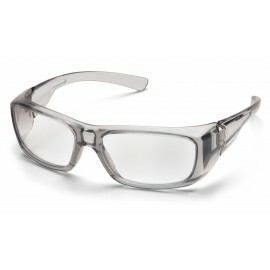 Highlander safety glasses come with foam located on the inside of the lens for added comfort and protection against dust and features a dual lens design that is CE Certified. 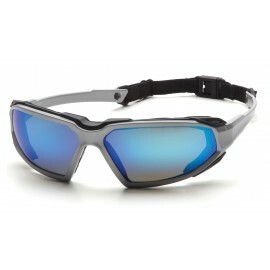 The option headband provides a goggle style fit around your head and ensures that these glasses won't fall off your face. The stylish Highlander glasses are also great for people working in construction, manufacturing, engineering, welding and more. These are even popular among Caltrans employees. Multi-use glasses for indoor/outdoor use.